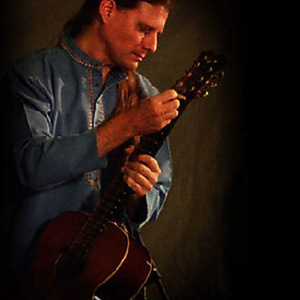 Nadaka, guitarist and composer of Canadian origin, has been living in India since 1974. His passion for Indian culture led him to study its music, learn different Indian instruments and vocal styles. He has conceived and built a guitar that allows him to produce sounds akin to those of the South Indian veena. While keeping his unique guitar style, inspired by Indian rhythms and Ragas, he carries us through his unique musical world that is both modern and rich in tradition.